Rain. Sun. Everything else besides. Racing for six hours at Silverstone in April is always one for the brave of heart, but everyone at the circuit noticed something else in the air as well – an air of optimism. 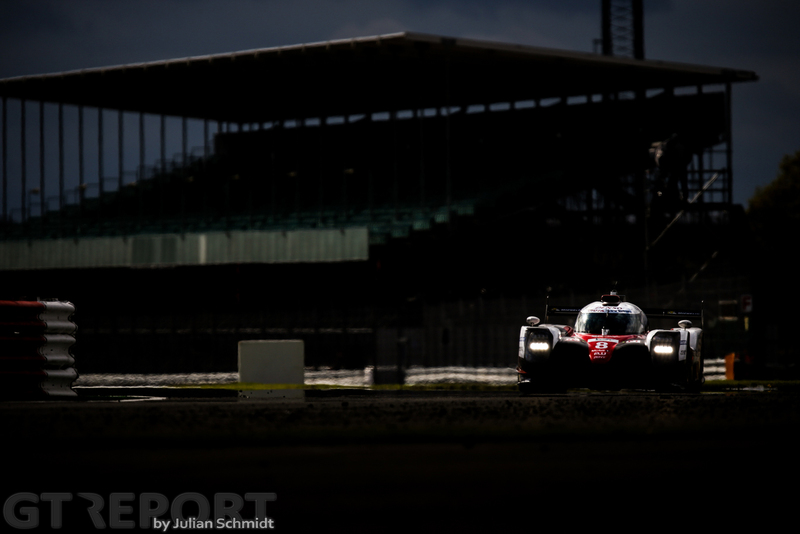 Many people took a gloomy view of the prospects of the World Endurance Championship after Wolfgang Ullrich confirmed what many had come to suspect – Audi were bidding farewell to the championship. However, those that braved the trip to Northamptonshire on Sunday would be of a different mind – the WEC will manage just fine. Cause for optimism is one key fact, Toyota have used the off-season to up their game and get back to levels of form that secured them the title in 2014. Combine that with Porsche reshuffling their line-up and coming out the blocks with a steely glint in their eye, the LMP1 action didn’t stop. With the lead swapping between the #8 of Sebastien Buemi, Anthony Davidson and Kazuki Nakajima, and both the #1 and #2 Porsche 919 Hybrids. It took alternating pitstop strategies to separate the trio – Nick Tandy having to make an extra stop in the #1 to swap from intermediates to slicks when a rain shower cleared faster than the team anticipated. 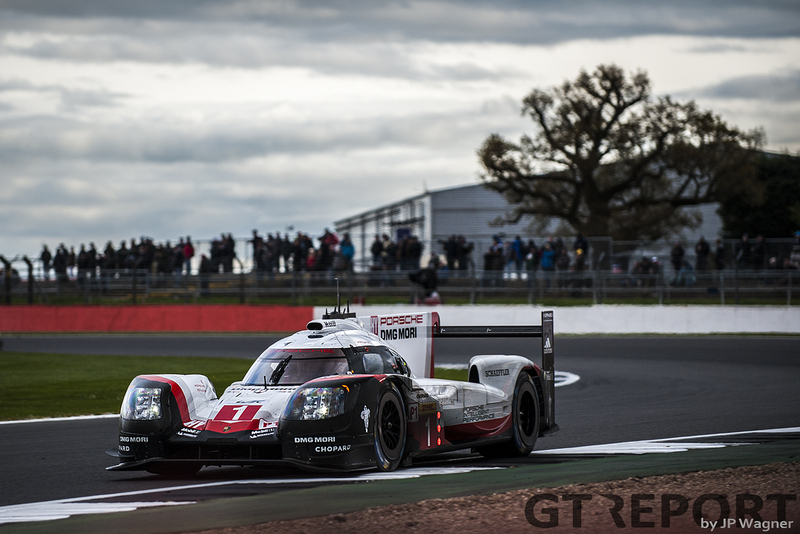 They would finish third, unable to make up the time to Timo Bernhard, Earl Bamber and Brendon Hartley in the #2 – which stopped for fuel-only at the final round of pitstops and got out in the lead. However, Hartley would lose time to Buemi lap-after-lap and with less than 15 minutes to go, Buemi would dart up the inside of the Kiwi at the Loop and not look back as he claimed victory with six seconds in hand. If it was going well for the #8, it was going badly for the #7 of Jose Maria Lopez, Mike Conway and Kamui Kobayashi. Caught out by the changing conditions, Lopez would crash the Toyota TS050. He was taken to hospital for precautionary scans, and the car was classified 38 laps down in fourth. Going from unfortunate to unlucky was the ByKolles LMP1 machine, issues struck the car throughout the race and it would retire with more than 45 minutes still left to run. In LMP2 Jackie Chan DC Racing held on to their lead, even with a stop with 22 minutes left on the clock, throughout the last hour to finish 20 seconds ahead of the Valiante Rebellion Oreca, itself only two seconds ahead of TDS Racing. 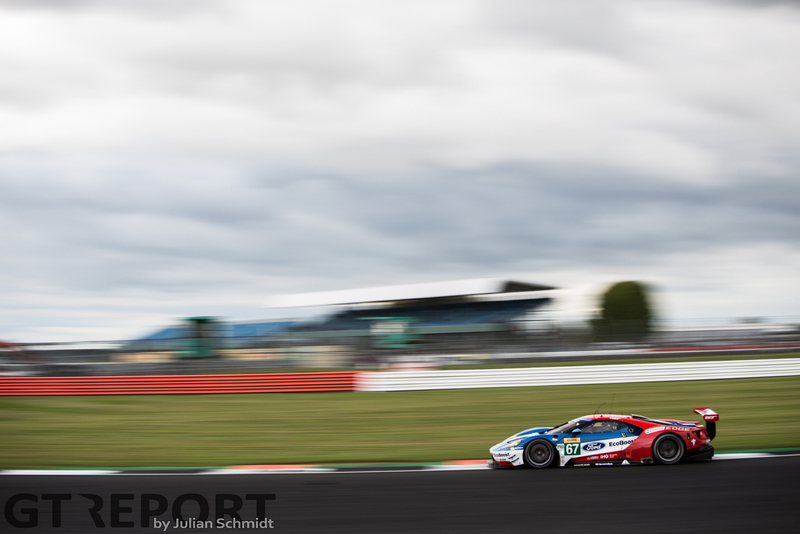 For GTE-Pro, it was very much a show of American muscle as the Ford GT of Andy Priaulx, Harry Tincknell and Pipo Derani overcame two separate door issues to return to the sort of form that saw Priaulx and Tincknell win two of the final three races of 2016. It was lucky for them that Ticknell managed to slam the door shut in the final stint, otherwise the AF Corse Ferrari 488 of Alessandro Pier Guidi and James Calado would have ended up closer than the 15 seconds they eventually finished behind. 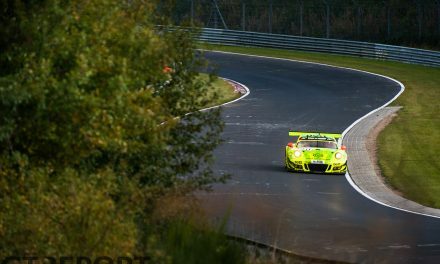 That said, they were having to pull out defensive measures to keep the Porsche of Frederic Makowiecki and Richard Lietz in third place. While it was solid running for one new Porsche, it was a fiery exit for another as Michael Christensen and Kevin Estre saw their chances of a strong result go up in smoke – literally – as the car set on fire just after the three hour mark. Aston Martin Racing’s day wasn’t much better. While both their cars finished, they placed a distant sixth and seventh with both cars not able to match the lap times of any of the other cars in class – suggesting there is some serious work to do before Le Mans in June if they are to be in with a chance of class glory. 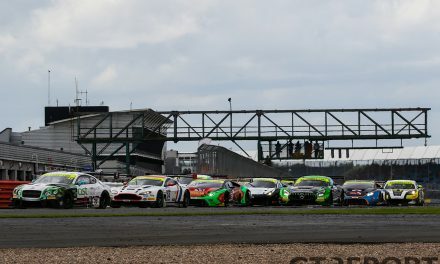 GTE Am went down to the final lap as Matt Griffin’s Clearwater Racing Ferrari capitalised on an incident between Miguel Molina in the Spirit of Race Ferrari and Pedro Lamy in the Aston Martin Vantage. 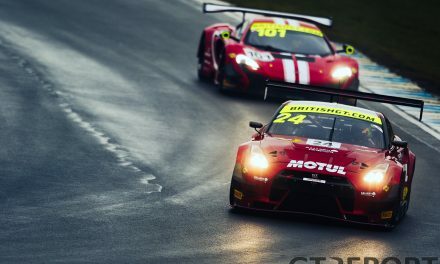 The pair came together on the last lap, forcing Molina to retire the 488 and Lamy wouldn’t be able to claw back the gap to the Clearwater car – finishing just two seconds behind. 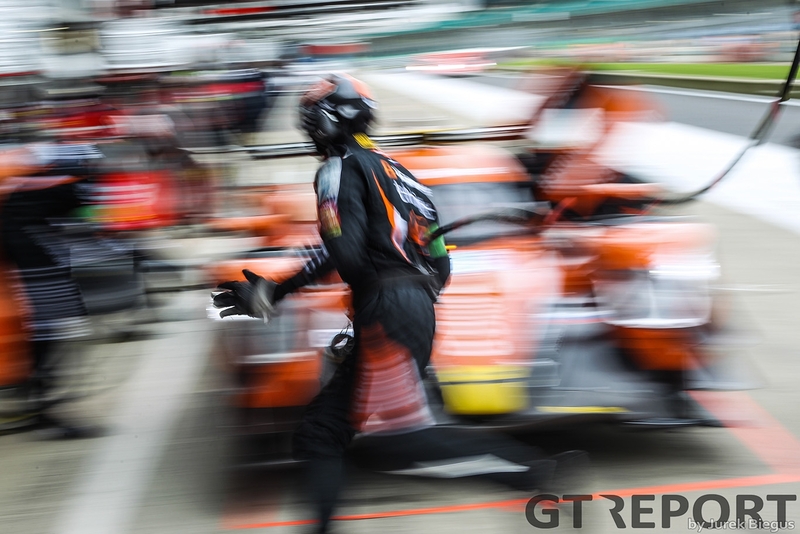 Making Griffin’s victory more remarkable was the fact that this was the team’s first WEC race, having graduated from the Asian Le Mans Series at the start of the season. 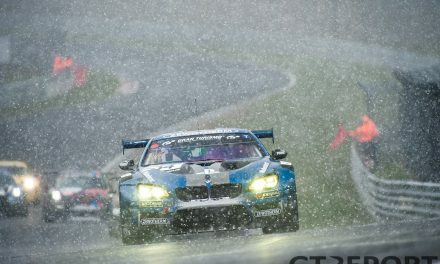 The next WEC race is the Six Hours of Spa-Francorchamps on Saturday 6 May.